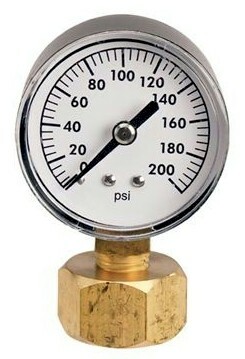 Female hose thread 200 psi pressure gauge will let you test the pressure of your water coming out of your faucet, up to 200 psi. It includes hose washer with 3/4-inch fht inlet with plastic lens. It is compatible with all standard 3/4-inch faucets and hoses.